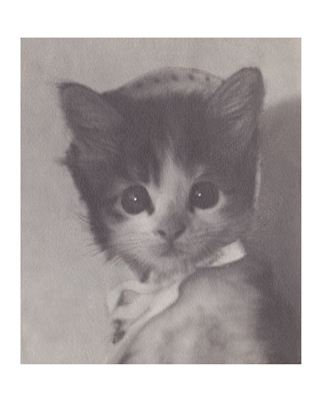 This print is made from a lovely 1930s photo of a kitten in a bonnet, part of an album in the Obscura permanent collection. The photographer was an unbelievably talented amateur pictorialist photographer, and we're thrilled that her work will now be available to the public. Our prints are made using high quality archival ink and thick, smooth cotton rag paper. Each image is available in multiple sizes, from an affordable open edition 8x10 inch print to larger limited editions.